Please help me welcome author Nicole Silver to Jemsbooks blog segment, Interview an Author. It is a pleasure to have you here, Nicole. Let’s begin your interview. Please tell us a little about yourself and how you first became interested in writing? I am a South African, and have been in Ireland for 14 years. I minded children for several years and loved every minute of it. I have just finished a Supervisory Management Course, thankfully, and have more time for my writing. I am now the proud mum of 4 new born black and white kittens. I wrote stories as a young girl of faraway lands in ancient time periods, and would imagine myself there. My father was a teacher when I was a child, and I have an aunt who is a teacher. My father gave me his love for books and writing. I guess missing home, and my love for African animals causes me to write stories about Africa. Please share your book/books with us and a synopsis of one or more. I have been writing several books over the past 6 years. All are written in different countries and time periods. One is set in an American high school, one is set on a game farm in Africa, and one is set in the American colonial times. They are all a series. I have yet to come up with names for them. 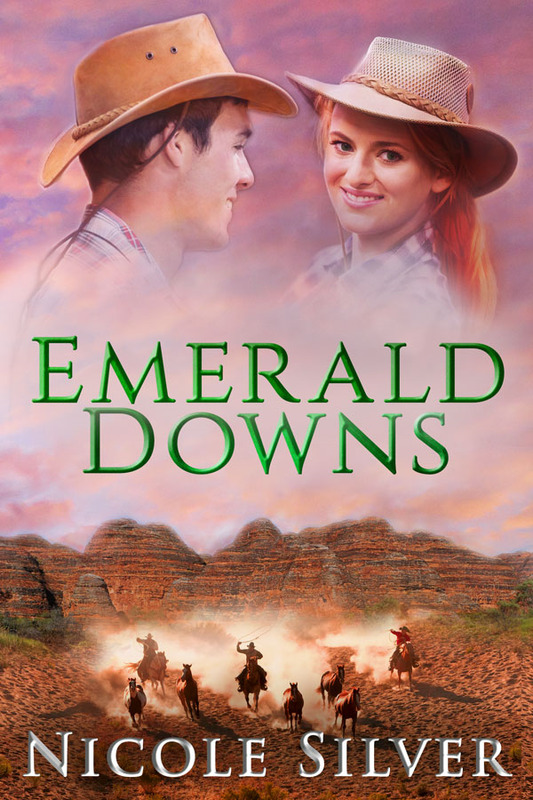 My debut novel Emerald Downs is currently an eBook, will soon be print. It is a romantic adventure story set on a cattle station in The Kimberley, Western Australia. It is aimed at young adults. Sam loves her life in Perth…shopping and parties with her friends…until her mother drops a bombshell. She is moving to New York. Alone! Sam must make a life changing decision. Live alone in Perth and find a job, or…move to her father’s cattle station in the outback. Terrified to live alone and unable to cook anything but toast, Sam faces the inevitable and moves to Emerald Downs station. Sam avoids her father and the ringers until one deadly encounter flattens the walls of her tiny world. Rescuing an Aboriginal ringer is the last thing anyone thought ‘the pain in the date’ would do. Andy, the Jackeroo, decides to be friendly; it’s the least he can do. Danger lurks in the dark. Will Sal survive? An unexpected visitor spells trouble with a capital T. Will she ruin Sam’s wonderful plans? Her visit turns into a nightmare…no aircon or TV, a fear of bugs, and NO shopping malls?!! What is a pampered city Sheila supposed to do? A trip to the Bungle Bungles becomes a fascinating and frightening experience for the Sheila’s. Who is the mysterious voice that warns Sam of danger? Does Andy feel the same or is Sam imagining it all? Who is the mysterious stranger in the Ute? Sam learns that…nothing is Impossible if you believe…. I think the African stories set on a game farm are my favourite, as they are more adventurous and full of African animals. They remind me of home. Where do you prefer to write, with music or without? No music…have to concentrate. In bed in my pajamas, best place to be. What do you like to do in your spare time, when you have it? Read books that teach me something. I am surrounded by writing books – which I love. I am also an artist, and love to paint African animals in watercolour…although now that I’m writing, that has been put aside. What is your favorite genre? Do you write in multiple genres? I write for children. I guess Adventure would be my favourite. My colonial story is from age 7 years +. Emerald Downs, the Game Farm and my American High School book would be from 11 years +. Please share your latest project or next one? I am currently working on the game farm book, and almost finished the USA High School book volume 1. Can you give new writers/authors any advice? Yes, make notes in the margins as you write, so you don’t stress about forgetting it. Try not to only write about what you know. Branch out, do lots research and write about a different land that you haven’t been to. I’ve never been to Australia, but I read lots and imagine myself there. Hopefully a lovely person will soon send me a ticket to get there. 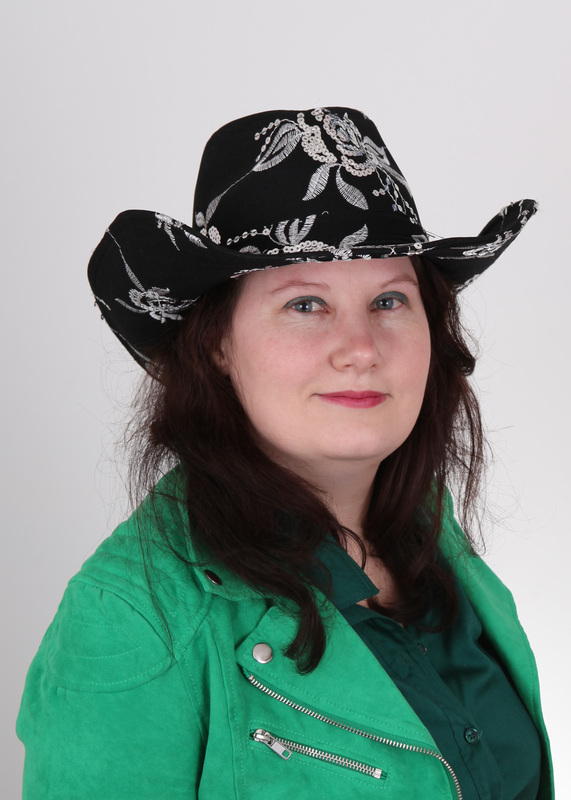 I am on Facebook – wearing green and a black cowboy hat. Thank you, Nicole, for coming today and sharing a little about yourself and your work. I will be sure to check out your book soon. It does sound intriguing. Thank you, readers, for stopping by to read about another interesting author. I hope you will go to Nicole’s links and check out her book. 5 Responses to Interview with Author Nicole Silver! Thank you, Tess, for stopping by. Nicole’s books sound intriguing. Thank you, Tony, for stopping by! Nicole did a nice job with her answers.